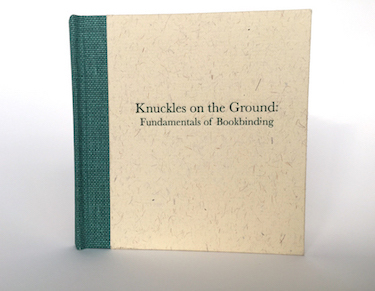 Knuckles on the Ground is a whimsical illustrated guide to ten key elements of bookbinding. Andrew Rottner received a BFA from Wittenberg University in 2001 and an MFA from San Francisco Art Institute in 2007. 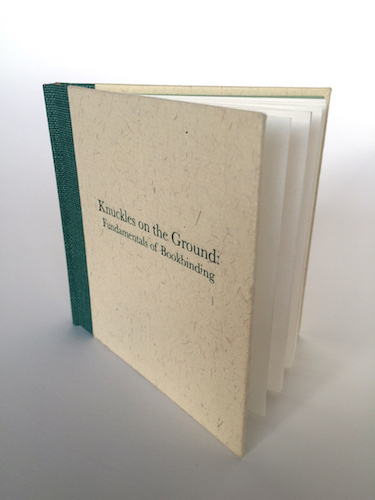 He has studied and worked as a bookbinder and book artist in the Bay Area since 2004 and teaches at San Francisco Art Institute as well as SFCB. 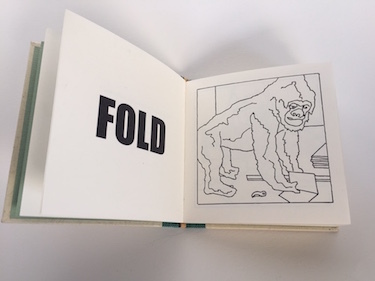 Andrew's books, paintings and drawings have been exhibited locally and internationally including at Photo L.A and the Codex Book Fair in Berkeley. 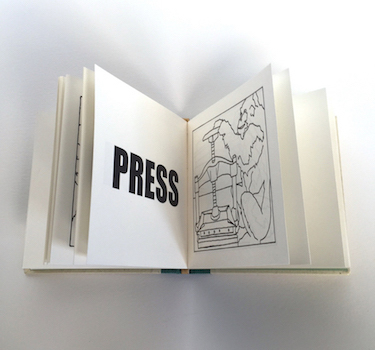 Andrew's imprint, Super Classy Publishing, produces mass market and fine press books with Bay Area artists and printers.